I've never done one of these monthly wrap- up thingies before. So I figured that maybe I should start...? 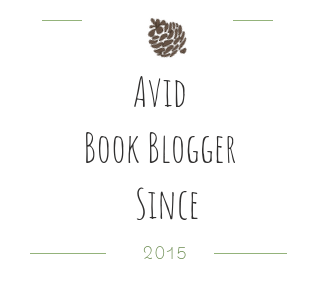 These posts will allow me to put my monthly book haul and wrap-up in a single post. They will also allow me to share what I did during the month. 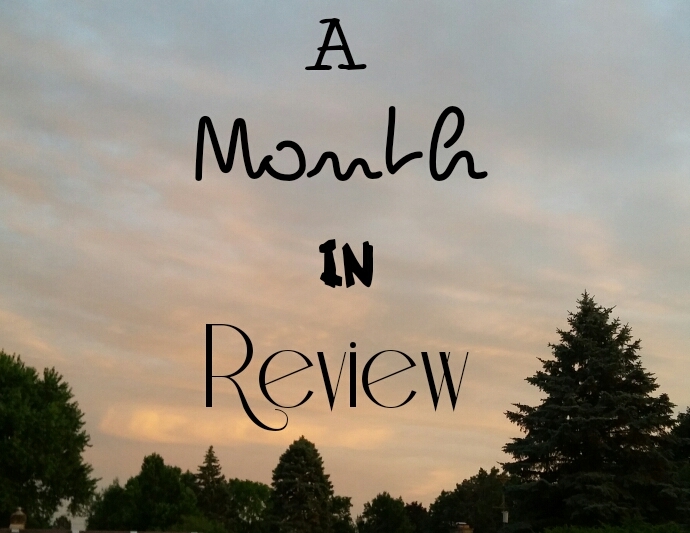 So without further ado let's get into July's monthly review! >>>I participated in the Biannual Bibliothon towards the beginning of the month and I was able to get four books read. FOUR. 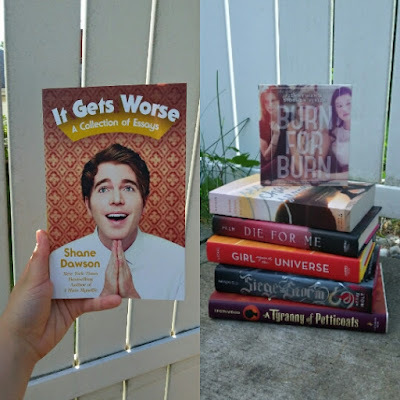 I also participated in the Booktubeathon, which was a few weeks ago, but I didn't read much. I, sadly, wasn't feeling as enthusiastic about the booktubeathon this year as I have in past years. Despite this I still was able to read two books. 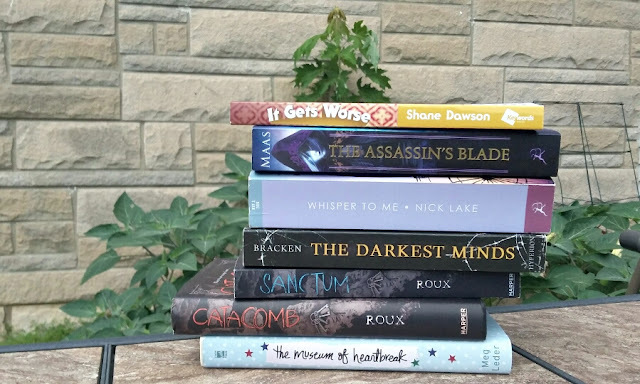 This month I read a grand total of books!!! What books did I read, you may ask? Overall I'd say my reading month has been pretty successful! I've already read It Gets Worse and I really enjoyed it! On the right side of the picture are the books I got from Half Price Books. Burn for Burn and Die For Me were both 3 dollars (how can I pass that up?!?!) All the other books were under 10 dollars. Once I started putting books in my basket I couldn't stop. I... I went a little book crazy. In the month of July I didn't post... that much. I believe I only got four posts in *cringes* The majority of my posts were reviews. I'd also like to start sharing my favorite post(s) from the month. 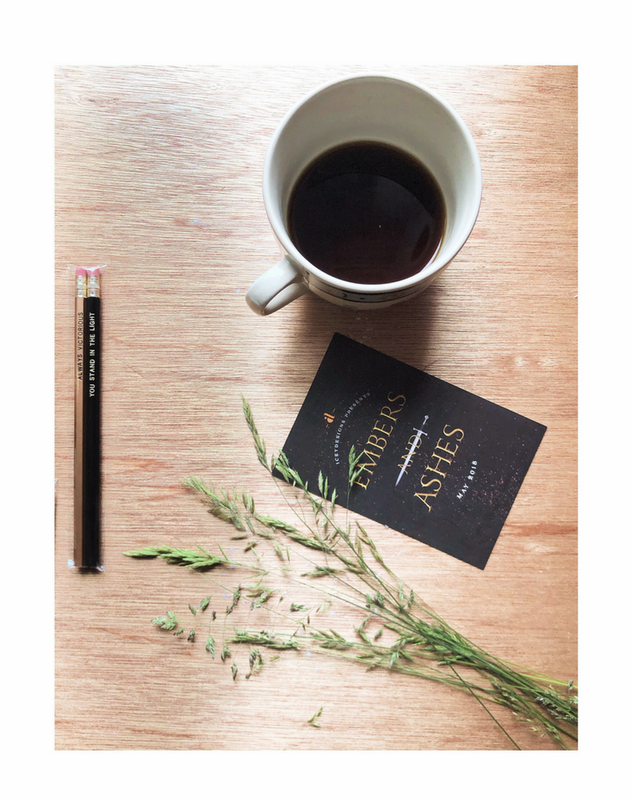 I read and ended up really loving this post from Jess of Princessica of Books. The post is titled: "What Matters Most: # of books, pages, or quality?" and you can view it here! I 10/10 recommend checking it out! 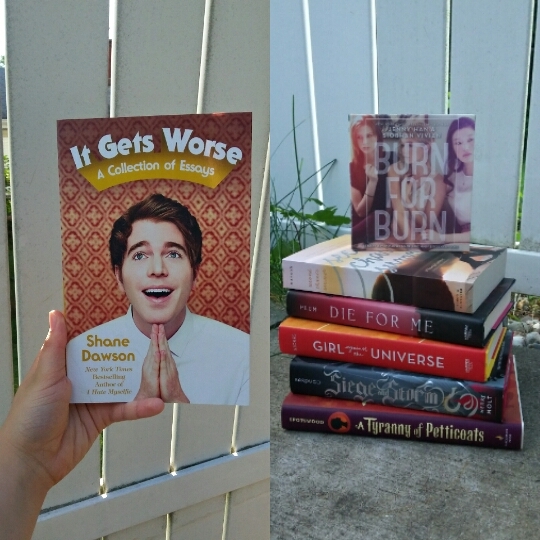 Like I mentioned before, I participated in the Booktubeathon. Which means that I also participated in a few of the Instagram challenges. My favorite picture that I did had to be this one, though. I think that's about all for this post! I didn't do much this month but I'm hoping to get tons of stuff done before I go back to school.